Courts are quite particular about the application of these exceptions. For example, if you slow down for a traffic jam ahead, the driver behind you probably won’t be able to successfully apply one of these exceptions. However, if you are arbitrarily stopped on the highway, then a defendant could likely argue an exception. The Florida Supreme Court a few years ago took on the issue of rebuttable presumption after a number of state courts had reached differing conclusions about the degree it could be presumed the rear driver was solely at-fault. The case was Cevallos v. Rideout in 2012. That case involved a 2005 crash in which plaintiff struck the rear of a car driven by defendant. Plaintiff argued she had been traveling some four car lengths behind defendant and reduced her speed to 35 mph, but nonetheless could not avoid striking defendant because defendant was stopped in the road after suddenly slamming into another vehicle while she was talking on her phone and traveling 45 mph. The Fourth District Court of Appeals ruled plaintiff (the rear vehicle operator) couldn’t sue plaintiff because of the presumption that the rear driver in a rear-end collision has no standing in a negligence case. The state supreme court reversed, noting the presumption can be rebutted under certain circumstances (as mentioned earlier). 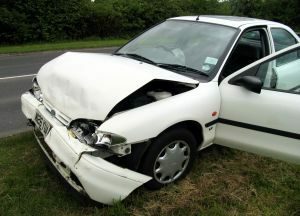 The rebuttable presumption is not so much a legal standard as a means of resolving a claim when there is not enough evidence to say which driver was at-fault. The Washington Post reports there are an estimated 1.7 million rear-end collision on U.S. roads every year, resulting in approximately 1,700 deaths and 500,000 injuries. The National Transportation Safety Board estimates some 80 percent of deaths and injuries resulting from rear-end crashes could be prevented if vehicles had collision avoidance systems, which are fast becoming more common. If you are injured in a rear-end collision in West Palm Beach, our dedicated car accident lawyers can help you fight for the compensation you deserve.